Washington, D.C. – April 23, 2018 – Each year in April the Childhelp National Day of Hope® mobilizes Americans to join the fight against child abuse. Taking place on Capitol Hill in Washington, D.C., the Childhelp National Day of Hope Luncheon brings together Members of Congress and advocates as they combine forces to end child abuse and neglect in the United States. Today’s National Day of Hope event is co-chaired by The Honorable John McCain (R-AZ) and The Honorable Dianne Feinstein (D-CA) with special guest speaker Shannon Miller, gymnast, seven-time Olympic Medalist, and devoted advocate in the fight to end abuse. Childhelp founders Sara O’Meara and Yvonne Fedderson will join their colleagues to celebrate the passing of the “Protecting Young Victims from Sexual Abuse Act,” which makes it a federal crime if a person fails to report sexual abuse in clubs affiliated with Olympic sports. The event is sponsored by Johnson & Johnson. Also in attendance at the Childhelp National Day of Hope will be David Ulich, President of The Foundation for Global Sports Development (GSD) and Melanie Raffle, the foundation’s Chief Operating Officer. GSD is a long-time supporter of Childhelp, and together today on Capitol Hill, the two organizations will announce their continued partnership in the fight to end abuse, particularly in sport, with a groundbreaking new program. The sexual abuse crisis in sports culminated this year during the shocking trial against Olympic team doctor, Larry Nassar, during which over 150 gymnasts and young women spoke up about the abuse he perpetrated against them. As a stunned nation learned about the extent of Nassar’s abuse, the unity and bravery shown by the women in the courtroom also inspired change. For their determination to protect future athletes, GSD has decided to recognize these women with its highest honor – The Humanitarian Award. This award is reserved for individuals who have made a substantial contribution to the betterment of sport. The Foundation for Global Sports Development is also dedicating $1 million towards the creation of a nationwide prevention education program in partnership with Childhelp. The already successful “Speak Up and Be Safe for Athletes” program from Childhelp has reached over 10,000 children, coaches, and families in Arizona. Together The Foundation for Global Sports Development and Childhelp will expand the program’s scope and reach. The gymnasts will be recognized in a ceremony and reception on April 28th at the Waldorf Astoria in Beverly Hills with guest speaker actress Kristen Bell, a strong ally in the movement to end sexual violence. Josina Anderson, ESPN’s first female National NFL Insider, will emcee the ceremony. To accept the award on behalf of the abuse survivors are 15 women who spoke during the Nassar trial and five gymnasts who called attention to abuses committed by their coach Doug Boger in the 70s and 80s. 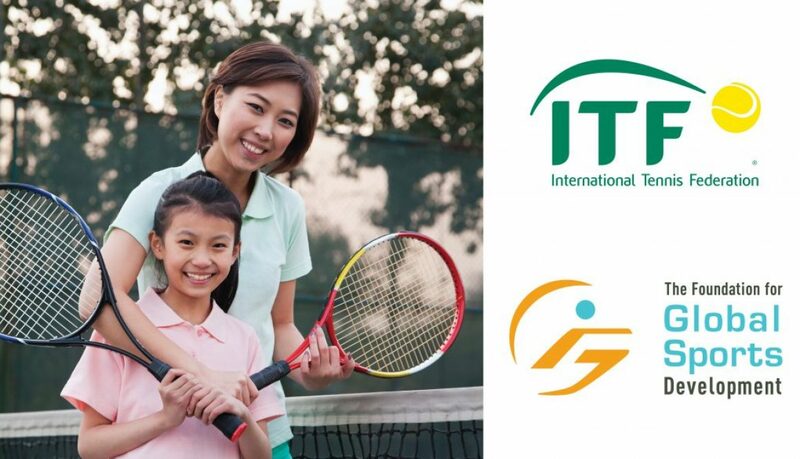 Working closely with international sports federations, generous donors and committed athletes, The Foundation for Global Sports Development promotes sportsmanship, education, fair play and ethics among the world’s youth. The Foundation gives special emphasis to groups and communities that are most in need or most underserved by current programs, including women, minorities and youth. Visit www.globalsportsdevelopment.org to learn more. In 2000, the founders of Childhelp, Sara O’Meara and Yvonne Fedderson, worked with Congress to pass a resolution designating the first Wednesday of each April as Childhelp National Day of Hope. On this day, people across the country light a five-wick candle and observe five minutes of silence in recognition of the now nearly five children who die each day as a result of abuse and neglect in the home and the millions of others who suffer. Since 1959, Childhelp® has brought the light of hope and healing into the lives of countless children as a leading national nonprofit organization dedicated to helping at-risk children. Childhelp’s programs and services include residential treatment services, children’s advocacy centers, therapeutic foster care, group homes and child abuse prevention, education and training. Childhelp created the Childhelp National Day of Hope®, held each April during National Child Abuse Prevention Month that mobilizes Americans to join the fight against child abuse. For more information, log on to www.childhelp.org, facebook.com/childhelp or twitter.com/childhelp. development funding to grow tennis around the world. place in August in Orlando, Florida. More information about the programme will be released in due course.